← Polish Robot Overlords, aka IMPERIUM ROBOTÓW – out 14th July! Wednesday 8th July 2015 – Summer Party. 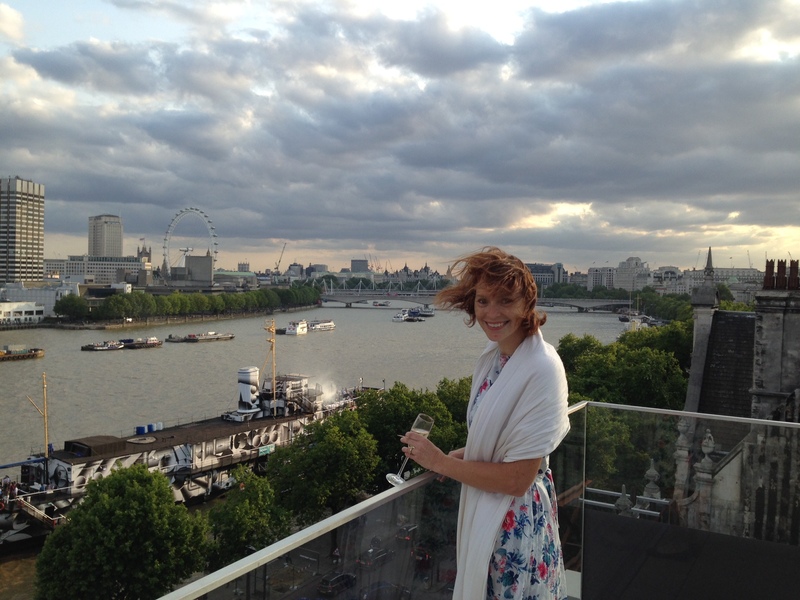 Hachette Children’s Group had their Summer Party last night on the “Roof Terrace” at their offices. Me being one of their authors with “Lottie and Dottie Sow Carrots” and “Lottie and Dottie Sow Sunflowers” I was invited. I was very excited!! I bought a new dress for the occasion and spent the evening chatting to lots of other authors, and all the wonderful editors and members of the team. We drunk Champagne (I only had a couple of glasses….well maybe 3, they were small) and I also had a couple of beers, and lots of canapés as they were being handed round. Everyone was so wonderful. Mark and I left about 9.30pm and by the time we’d walked to Waterloo (it’s not far and a very pleasant walk along the Thames) got the train and got home it was knocking just past 11.30pm. Way, way past my bed time!! So an early night for us both tonight I think. As we came into our square Mark noticed a little hedgehog on the grass. We didn’t want to scare it, but Mark took some photos of it before we left it alone to carry on with it’s night hunting for slugs, snails and worms. It was lovely on the Roof Terrace, although rather windy. This entry was posted in Uncategorized and tagged claire's allotment, Hachette Children's Group, Lottie and Dottie sow carrots, Lottie and Dottie sow Sunflowers. Bookmark the permalink. 3 Responses to Wednesday 8th July 2015 – Summer Party. Mark mentioned that to me. I would love it, but Mark gets a little wobbly with heights. I will have to sit him near a wall I think.